When the trade wars erupted in early 2018 (after threats by Trump and others as early as 2015), I said that the trade wars would be long-lasting and difficult to resolve and would have significant negative economic impacts. Wall Street took the opposite view and estimated that the trade war threats were mostly for show, the impact would be minimal and that Trump and China’s President Xi Jinping would resolve their differences quickly. As usual, Wall Street was wrong. This article describes a speech delivered by Peter Navarro, who is Trump’s top trade adviser. Navarro makes it clear the trade wars will not be resolved soon. He also tells Wall Street to “get out” of the policy process. 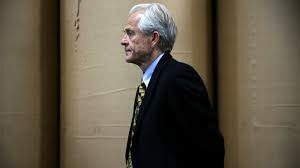 Navarro warns that prominent Americans such as Hank Paulson, former secretary of the Treasury, and Blackstone chief Stephen Schwarzman may be acting as “unregistered foreign agents” as a result of their lobbying activities on behalf of China. This could subject these principals to criminal prosecution. Investors should expect lower earnings per share from Apple, Sony and entertainment companies dependent on the Chinese market or Chinese manufacturing to make their profits. Companies such as Caterpillar are also caught in the crossfire. Get ready for a long and costly trade war. It has already started and won’t be over soon.